What a question, eh? Great minds have wrestled with this through the ages — but great mind or not, Here I go. This post has come about because my dear friend Duncan Paton has died. Born with brittle bone disease, he was never expected to reach his 20’s, but he fooled them all! Not only did he live into his 50’s, he lived life fast and hard. He traveled everywhere. Commuted to London. Married, and divorced. Most importantly, he made friends wherever he went. He wasn’t a sweet-natured man, and had quite a temper — often challenging guys to fights (with brittle bones? really? ), with the result that his great friend Chris often had to wheel him to safety, at speed. We started our very first jobs in IT together, killing ourselves at how clueless we were. We teased each other relentlessly. We went on cricket trips together, and tales of his sunburnt nostrils live on. No one could make me laugh as hard as he dI’d, or cry as quickly. He called me when he found out I had breast cancer, and once again made me laugh despite myself. He called me in tears to tell me he couldn’t take the job I got him — the powers that be would take away all his aid if he earned too much money. I’ve seen comments on Facebook about him enjoying himself next to the Big Guy. Somehow I don’t think Dunc would think much of that, but he would enjoy the joke if he’d been wrong. My own opinion is that I think that ‘life after death’ means living on in the hearts of those who love us. Memories, taken out and enjoyed from time to time. Laughter and tears in equal measure. That’ll do me. Love ya’ Dunc. Categories: Daily life, Family | Permalink. We always, but always, have had had 2 boxers. One dog seems to get quite lonely, and has an over reliance on the People Dogs to provide all their entertainment. Of course, 2 big boxer boys can be quite a handful, but generally, they sleep together, play together, and mostly mind their manners. When our dog Milo died recently, we resolved to get a puppy as soon as we felt able. We made the mistaking of waiting too long the last time, and the surviving dog went into a total grief spiral. So never again. It’s not easy to get a puppy when your beloved dog dies. You feel disloyal, your heart hurts too much, you feel you will never again want to risk that poor, damaged heart. But you do. You do it for yourself, but mostly, you do it for the dog left behind. So to cut a long story short, we found a lovely group of puppies, hand reared by a lovely couple. They had both the mother and the father, which was nice. It was hard to pick a puppy (why not take 2, says Kenton – ah….no, says I) but pick we did, and, 3 short weeks later, he owns us good and proper! Categories: Boxer dogs, Daily life, Family, Lujos | Permalink. It occurred to me that perhaps I’ve been paying too much attention to my ‘cancer blog’, and not enough to our everyday life blog. It’s easy to do, as treatment seems to subsume our lives until there seems to be little left for REAL life! Treatment, worrying about treatment, worrying about infections and other side effects, staying indoors and away from society – no wonder it feels like our world has compressed. But cancer doesn’t define my life. I had decided on diagnosis that it wouldn’t, and I try to keep to that decision. True, I think about it too much, and I certainly worry about it too much. But now that I am halfway through chemo, I am trying to think beyond cancer to…well, life! For example, I weeded the asparagus bed the other day. That is a really trivial task, but it’s the first time I felt able to use my right arm for something physical since I had surgery. I’m now looking ahead to planting seeds in the greenhouse, and getting our summer garden ready to go. We have started to tidy around the outside of the house. Everything grows so fast here, that it feels like the weeds have taken over the Lujos and herb gardens! So getting that under control again will be great. We are having friends to brunch tomorrow – the first time we’ve had company since last summer. It’s a normal thing to do, and I want….no, I need…to feel normal. I’m thinking ahead already to visits from family this summer. We have a brand-new granddaughter that we haven’t met yet, and I’m definitely starting to get excited about seeing her. We haven’t seen our Matilda, either, or Peggy and Dan, since last June, and we are getting excited about that, too. It’s nice to be thinking about something else for a change. Categories: Family, Pontificating | Tags: Ella, Matilda | Permalink. 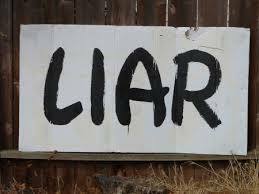 Lying – is it a natural human thing to do? I’ve been reliably informed that we all lie. We who believe ourselves to be ‘good people’ may try not to, but there it is, that little white (or black) lie, creeping into our thoughts and conversations. We might just lie to ourselves, i.e have a pretty good opinion of ourselves for no apparent reason. Think about it – are you really that terrific person, or is it just that you see yourself bathed in the rosy glow of honesty, kindness and good deeds? If any of us really thought about it, I suspect none of us is as good (or as bad) as we think – we are human, after all, which as they say, is a rich mix of pretty much everything, good and bad. This topic came to mind because I’ve been thinking so much of my granddaughter Matilda over the holidays. This cancer thing means no trips to the UK to see her, no trips for her to come see me. And it hurts. She is growing up so fast, and “grandma no hair”, as she now calls me, is missing a lot. I always want you to tell me the truth. If you tell me the truth, you won’t get in trouble. I said the same to my daughter, my mother said the same to me. Ad infinitum. And yet. I still lied to my mother as a child (not very well, though, as she always knew when I was lying). My daughter lied to me, rather more convincingly than I did as a child. And certainly, my darling Matilda will lie to her mother. Sorry, Peg, but it’s true, and your heart will be hurt by it. Why? Why do they do it? There are zillions of articles that tell you why, and how to ‘fix’ it. But I found, that even if you follow all the usual good parenting advice, the little blighters will still do it! They will put that cute little look on their face, look you straight in the eye…and lie. As a parent, you feel so betrayed – even after all your Good Talks, it happens. I don’t really understand it either, so I can’t offer any solutions. I guess my own theory is, that as children grow up, there are a whole host of reasons for lying. It may be to get away with something (like when I blamed the spilled orange juice on my sister), or it may increasingly just be a power thing. Do you remember the first time you made that big adult believe something you told them, and then getting away with it – what a power rush! Kind of like – HAH! I just knew mom wasn’t smarter than me! In my case, I usually ended up telling the truth, and I still do. I’d like to say it was/is because I take the moral high ground, but unfortunately it’s more a case of being such a dreadful liar. Something happens in my face when I lie, such that even strangers know when I’m not telling the truth! Even as an adult, my face betrays me every time. Bummer. Categories: Daily life, Family, Matilda, Pontificating | Tags: lying to your parents, why do people lie, why kids lie | Permalink. I always get all sentimental at Christmas time. OK, maybe it’s not just Christmas time, but it certainly worse this time of year! Even watching old Christmas movies can bring a tear to my eye these days. Today, the last ‘normal’ day before Christmas, took me back to my childhood. I remember so clearly laying on the floor in our living room with my older sister Susan. We would lay there and just look at the Christmas tree, lights sparkling off the tinsel (always loads of tinsel, of course!). The excitement was almost unbearable. 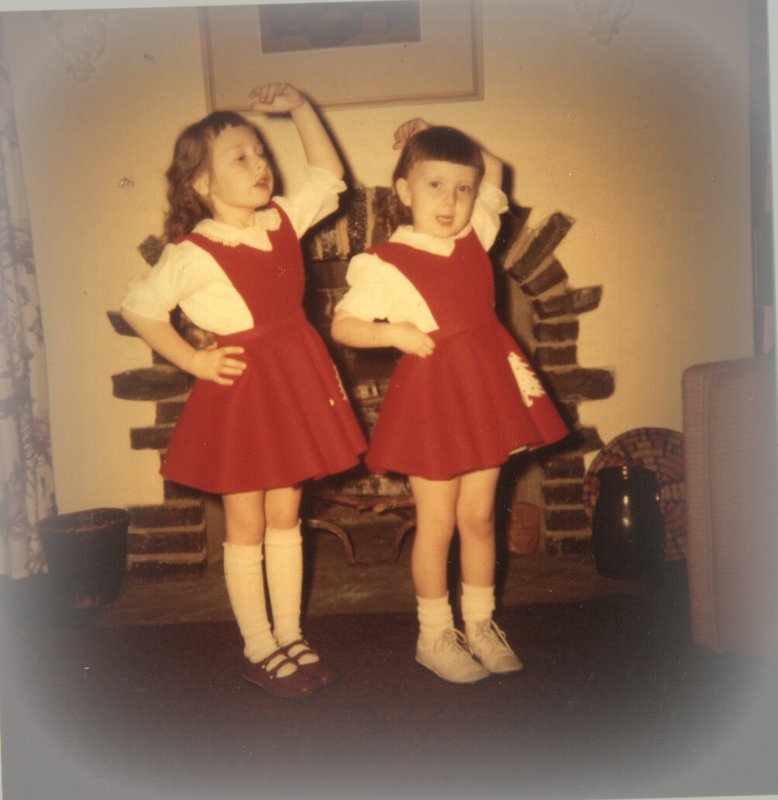 I found a picture of my sister and me in our Christmas pinafores (they were almost too small for us by the time the photo was taken, but wow, did we love those pinafores!). My mother made them for us out of red felt, and hand sewed decorations onto them. In fact, she made a lot of our clothes. She also made loads of Christmas cookies – she even made the ever-so-time-consuming rollout sugar cookies, that we children frosted and decorated. How did she find time to do that, with a house, husband and 5 children to take care of? She was incredible, and I still look up to her so much. This photo is for you, Mom. Categories: Daily life, Family, Pontificating | Tags: Christmas, Doris Larson, Sioux Falls | Permalink. We have made a list and checked it twice! The tree is up, the Lujos gifties are made for friends, the presents are mostly wrapped and under the tree. We have plans to go to Malaga Christmas Eve for a bit of light retail therapy, then some food shopping and lunch, then see the lights. Malaga’s lights are absolutely fabulous – I’ll try to remember to take photos! Anyway, my friends, one of the jobs today was to do my usual Christmas newsletter, but somehow a video just seemed more appropriate. Categories: Boxer dogs, Family, Lujos, Pontificating | Tags: Christmas at Casa Tyr, Yunquera | Permalink. After a very frustrating week, we finally organised an appointment for me at a clinic on the coast. This involved getting the recommendation from our doctor, getting authorisation from our insurance company, and finally, getting an appointment at the clinic! What could be easier, right? Well, it seemed not. The authorisation was slow in coming. My appointment could not be arranged because the phone system was down in the radiology department (say what???). By the end of Wednesday, we thought that the week was a washout. Much to my surprise, the clinic actually did call me back to arrange an appointment! How seldom that happens these days, that people call you back when they say they will – why is that? 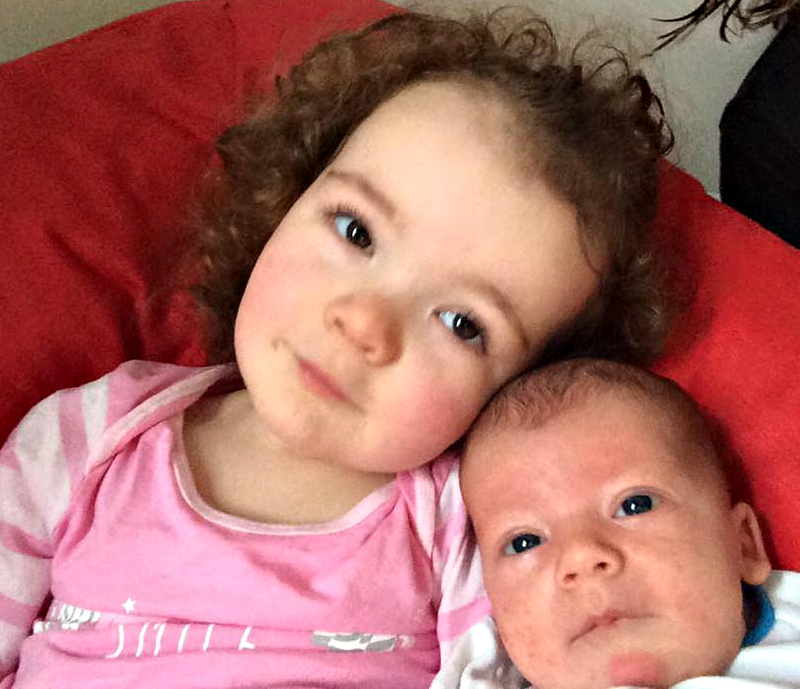 So yesterday, we toddled off to the clinic (an hour and a half toddle!). Again, to my surprise, when we arrived, my authorisation had come through, and had been forwarded to the clinic for me, thanks to Victoria from Sanitas health insurance company. The appointments for all my tests were one after the other, so by lunchtime, we were done and dusted! Sometimes things really do work out! 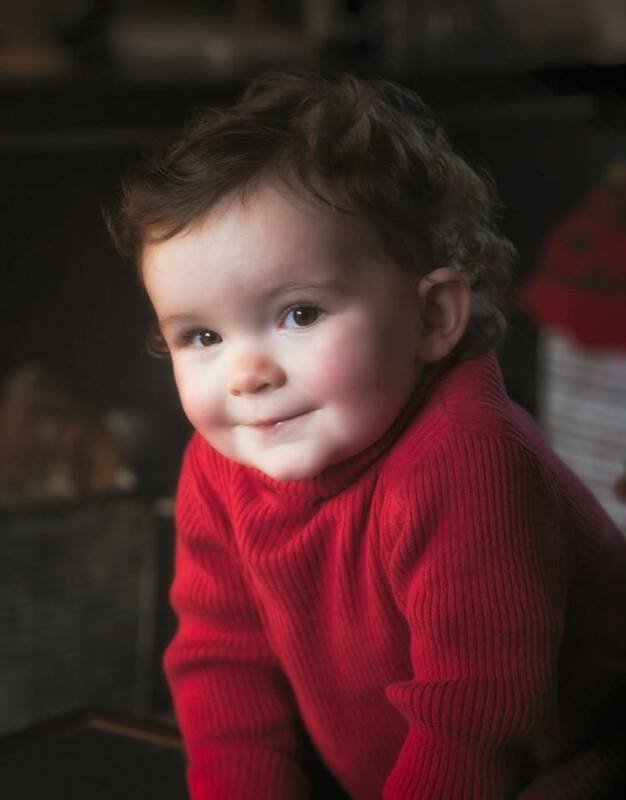 To celebrate, I thought I’d post a photo of our darling little granddaughter. Categories: Daily life, Family, Kinda dull stuff, Matilda, Pontificating | Permalink.